Each pupil will receive two origami sheets selecting their own colors. Make a spread of the different colored origami sheets allowing each pupil to select two sheets. Which polygon shape do you have in front of you? It is suggested that the polygon will be checked using the measuring tool. Do not show the following slide before a class discussion has been held. The sheet has the shape of a square — all the sides are of equal length. With both sheets, fold one vertex to lie on top of the opposite vertex. During the process of folding, it is suggested not to touch pupils’ sheets, or help in any way involving touching the folding done by the pupil. What type of polygon shape can now be seen after folding the sheets? Explain. The shape of the folded sheets is a triangle, with 3 vertices and 3 sides. Place both folded triangles together in different ways and discover how many different polygon shapes can be formed. Explain your answer. Explain to the pupils that when joining together adjacent sides they must be of the same length. Answer: Joining the two triangles, the following polygon shapes have been formed. 1. A polygon with 4 sides named a parallelogram. 2. A polygon with three sides named a triangle. 3. A polygon with 4 sides named a square. Which polygon shapes will be formed by joining 3 triangle shapes together? The pupils should work together in pairs. 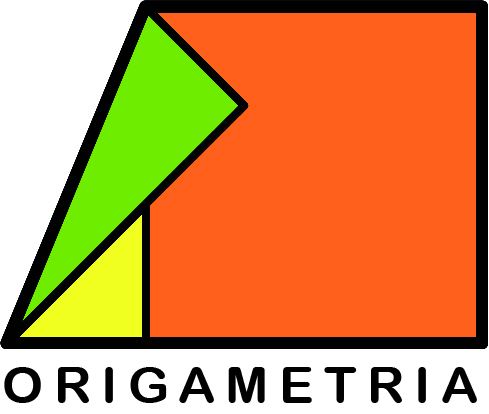 Joining 3 shaped triangles together, we can form several different quadrilateral shapes and also a pentagon shape. 1. A 4-sided shape named an isosceles trapezoid. 2. A 4-sided shape named a right angle trapezoid. 3. A 5-sided shape named a pentagon. Which type of polygon shapes can we form by joining 4 triangular shapes?Explain. 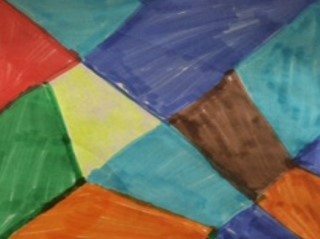 By joining 4 triangular shapes, we have formed 4 different quadrilateral shapes and a 3-sided polygon shape named a triangle. A quadrilateral shape named an isosceles trapezoid, a quadrilateral shape named a right angle trapezoid, a quadrilateral shape named a square, a quadrilateral shape named a rectangle, a quadrilateral shape named a parallelogram , a 3 sided shape named a triangle. 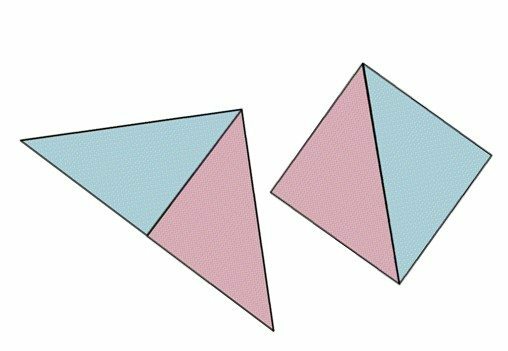 In what ways are these polygon shapes different? 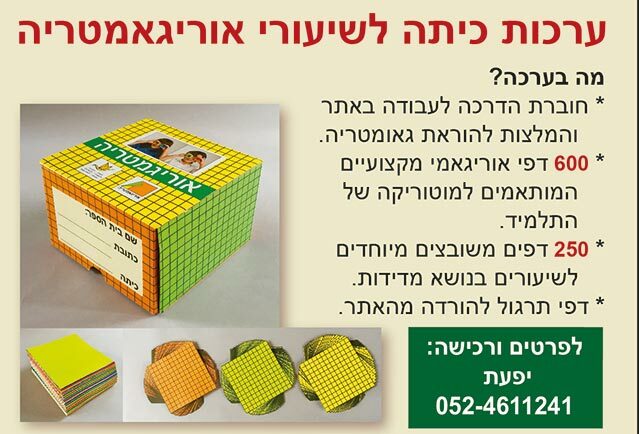 This activity is one of several activities used to develop geometrical reasoning and there is no animations shown. In this way the pupils will be able to form the different polygons while paying attention to what is the same and what is different about the properties of each polygon. 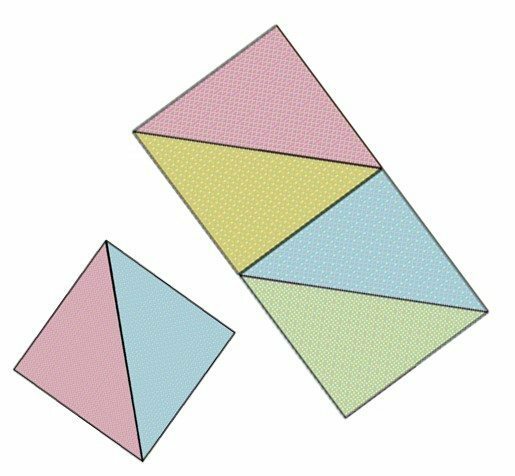 Which are the same properties for the shown polygons? This investigation will help the pupils to develop their own geometric reasoning by stating the same and different properties of each polygon. What are the different properties for the shown polygons? Make two additional folds according to your choice on one of your triangles. Open your sheet on the white side and with a pencil, mark the different lines that can be seen using your measurement tool. It is suggested that the pupils name each shape as can be seen from the pencil lines or have them color in the different shapes with several colors. This activity concludes the lesson. Which polygonal shapes have you found? Write their name in the appropriate shape. At the end of the session press on the X symbol.